We now carry your most affordable Exhaust Fan options. This fan is prewired, has an on/off switch and is equipped with a 3 prong cord that is 5 ft long. Also, this fan has a four inch inlet and outlet making it ready for flexible hose hook up. This is a continuous duty fan that can run all day long. Output is 720 cfm at 6 inches of static pressure. 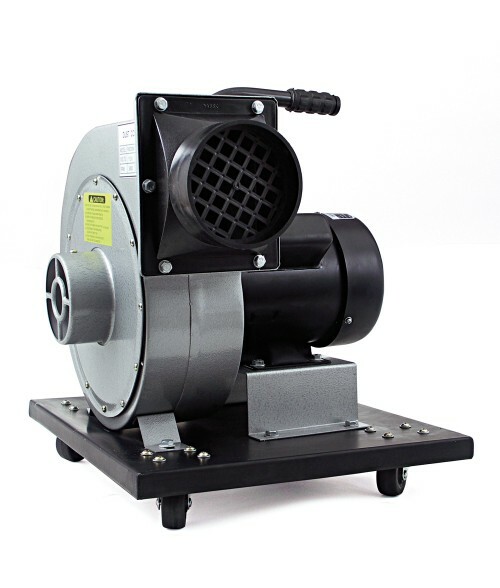 This Exhaust Fan is appropriate for lasers with a table size up to 39 x 24 inches. Sound level measurements: at a six ft distance the fan puts out 73 decibels. A 35 watt laser running puts out 61 decibels. For reference, typical basic room noise is 40 decibels. PLEASE NOTE: This Exhaust Fan is 110 volts AC only. Not for 220 volts.